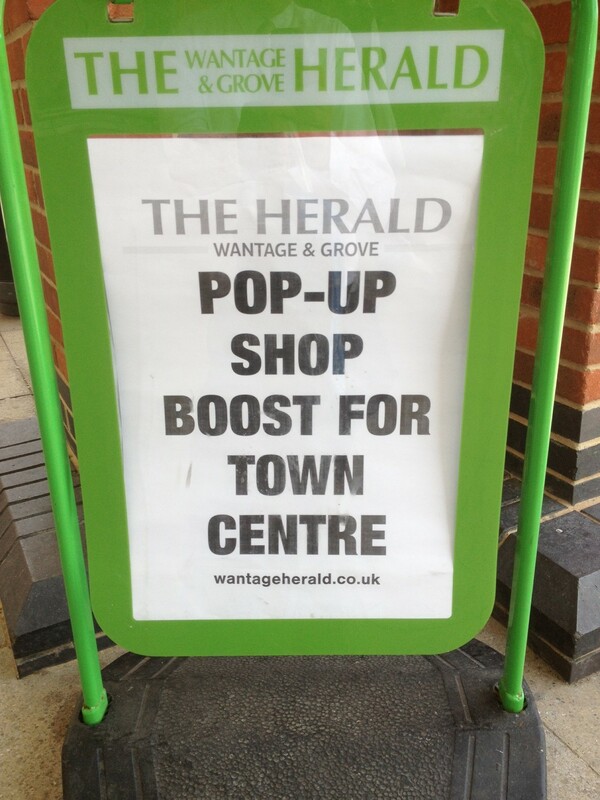 Wantage will soon have a town centre community space in a refurbished shop unit â and local groups are being invited to put forward ideas about how it could be used. Wantageâs town team have reached agreement with the landlords of Units 13 and 15 Mill Street (the old Chameleon Drinks shop and its neighbour) on a six-month lease for local group Sustainable Wantage. They will be making number 15 available for community groups and organisations to use, once itâs refurbished. Number 13 will be used for displaying local information. Theyâre now asking people to get in touch to suggest how they would make use of the space in number 15. Anyone with ideas or queries can email Mim Norvell via mims@talktalk.net. Offers of volunteer time or furnishings for the space are also very welcome. The first community involvement sees a group of local tradesmen, including Simon Cooper of Scoop Electrical, Tim Collins of TCP Plastering and local painter Mikey King, donating time to refurbish the units so they are ready for use. Nick Ruck and Helen Harding from Falcon Signs volunteered to remove the old Chameleon Drinks hanging shop sign. Wantage charity champion Ray Collins and friends are also giving time to help the project along. The initiative is the latest being developed by Wantageâs town team as part of a town vitality project being driven through the townâs Joint Economic Forum.